The disinfectant market continued to expand in 2017 and according to Transparency Market Research’s latest report, the global surface disinfectant market, valued at US$802.9 million in 2016, is projected to reach $1.77 billion by 2024, at a compound annual growth rate of 10.4%. This growth is largely driven by an increased awareness around cleanliness and hygiene, as well as more stringent requirements from regulatory authorities. One of last year’s most instructive articles on disinfection was that published in the October edition, written by Axel Schroeder, Operations Director, Concept Heidelberg. He looked at the compliance requirements for cleanroom disinfectants, based on their classification and use. He also discussed some of the myths surrounding the need for wet surfaces during disinfectant exposure times and he gave an interpretation of what the current guidelines say on this matter. The September edition reported on an educational booklet — The Pharmaceutical Lab’s Pocket Guide to Cleanroom Decontamination — that UK supplier of bio-decontamination, environmental monitoring and process validation products, Cherwell Laboratories had published. The guide provides cleanroom operators and laboratory personnel with an overview of cleanroom decontamination technologies, aiming to help them understand the complex protocols and heavily regulated procedures associated with pharmaceutical cleanrooms. The guide includes an overview of cleanroom disinfectants, decontamination techniques, decontamination devices and systems that deliver quicker, safer cleanroom decontamination. 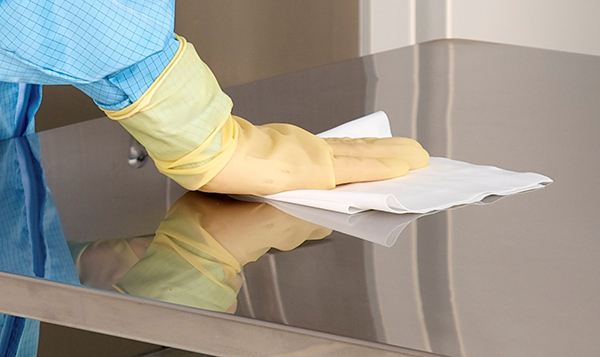 Understanding the complex protocols and regulations in place is important, and a series of studies, published in July by the Diversey Care division, demonstrated that ineffective use of disinfectants can have worrying results. New studies, conducted in collaboration with Purdue University, focussed on the bactericidal efficacy of disinfectants and were designed to look at how effective disinfectants are when label directions are not followed exactly. The research, determined that three tested disinfectants were significantly less bactericidal at lower than label use contact times and concentrations. Accelerated hydrogen peroxide (AHP), quaternary ammonium compounds (Quats) and sodium hypochlorite were each tested on stainless steel surfaces at room temperature (77 °F) using EPA procedure MB-25-02. For each treatment, bacterial reduction was calculated, compared and analysed to find the following key results: all disinfectants were significantly less bactericidal against Staphylococcus aureus (S. aureus) when applied for times shorter than label contact times. All disinfectants were significantly less bactericidal against S. aureus at lower than label concentrations. The bactericidal efficacy of the sodium hypochlorite disinfectant was most tolerant to decreases in concentration and contact time, the study reported. In the April edition, Cleanroom Technology (CT) reported that Warrington-based supplier of hygiene solutions, Klenzan, had received approval under the Marks & Spencer product accreditation scheme for its premium non-QAC based disinfectant, Bioklenz, for use in food and beverage production facilities. Bioklenz has undergone a series of tests against the latest exacting standard — BSEN 1650. This test protocol requires proven efficacy against yeasts and moulds, including ‘spiny spores’, which are significantly harder to eliminate than regular spores. In May, Klenzan also announced it had taken on sole distribution of the Solupak range of cleaning products for the EU region. 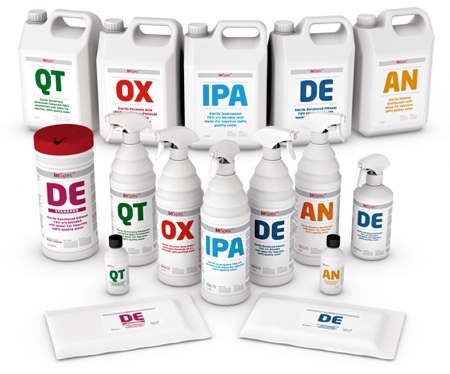 This pre-dosed range of concentrated surface cleaning products cuts down on bulk storage. The Green’R range are cleaners and sanitisers, designed to be used for all routine cleaning jobs and where storage space is limited. Said to be eco-friendly, the products come in pre-dosed water-soluble sachets made of poly vinyl alcohol (PVOH) that dissolve in under 60 seconds and include a sanitiser, tested and approved to BS EN 1276 for effective bacterial reduction. The easy to use PVOH sachets cut down on the need for bulk storage and ensure there is no skin contact with concentrated chemicals. In a market dominated by alcohol hand rubs, a high quality alcohol-free product is difficult to find. However, in 2017 Byotrol developed INVIRTU, an alcohol-free foaming hand sanitiser effective at killing germs, while being clinically proven to not dry hands out after repeated use. 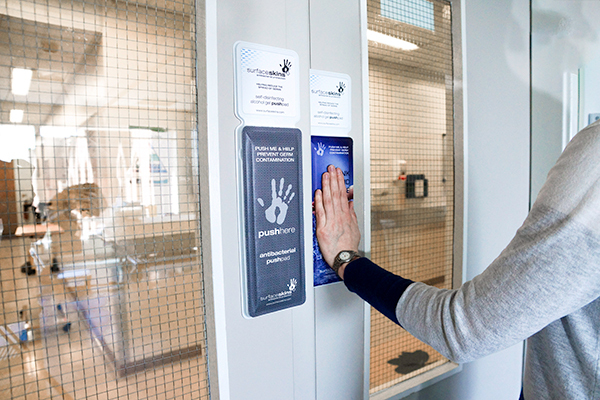 While hand hygiene is fundamental in preventing the spread of HCAIs, it is increasingly recognised that many hand rubs and sanitisers can dry the skin when used regularly. Byotrol’s alcohol-free INVIRTU hand foam sanitiser was formulated to be kind to skin, without compromising on the high-level of efficacy and performance required within healthcare settings. Byotrol says studies have shown that people demonstrate better hand hygiene protocols if a product feels good on their skin. 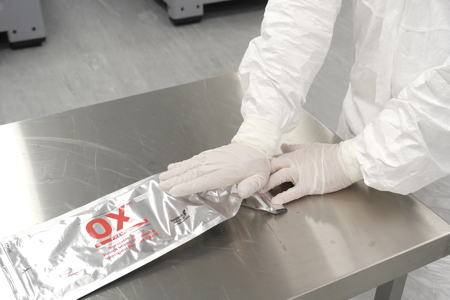 In January, CT reported on the launch of Oxivir 1 ready-to-use wipes by Diversey Care. 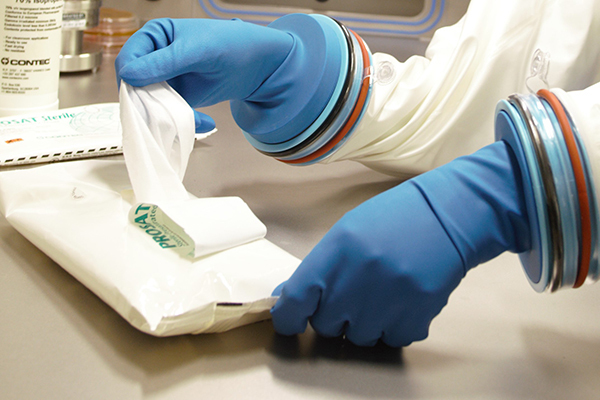 Containing accelerated hydrogen peroxide (AHP), the wipes can be used against bacteria, enveloped and non-enveloped viruses, TB and fungi. Capable of disinfecting surfaces and equipment, while also remaining gentle on skin, the wipes are non-irritating to skin and eyes, require no personal protective equipment, and are compatible with most common healthcare surfaces and equipment. In March, CT noted that currently alcohol, general antiseptics and standard hospital disinfectants are not effective against C. difficile. To solve this, Angelini Pharma in the US launched ALCAVIS Bleach Wipes, which are effective against C. difficile. The disinfectant wipes were approved by the US Environmental Protection Agency (EPA). ALCAVIS Bleach Wipes, 1:10 Dilution are approved for the disinfection of patient care equipment and hard, non-porous environmental surfaces. They are also effective against bacteria and organisms including gram-positive and negative bacteria, TB, MRSA and VRE. 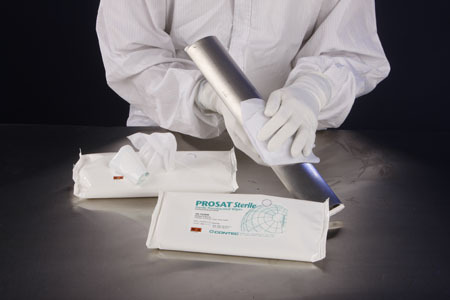 With increasing usage of presaturated wipes in cleanroom and healthcare sectors, in the December edition, Karen Rossington, a Marketing Consultant for Contec, looked at the need for EN methods for testing disinfectant presaturated wipes and the difficulties with current test methods such as ASTM E2967-15 and EN16615. She concluded that while some progress has been made, a more robust EN method for testing disinfectant presaturated wipes is definitely required. In any facility, different areas and cleanroom classes require different cleaning strategies. It is already challenging to clean contamination that cannot be seen, but cleanroom operators also have the added constriction of performing tasks fully gowned, further increasing the level of difficulty. Manual cleaning processes are also difficult to standardise and validate. However, through training and logical procedures, using effective, ergonomically designed equipment, the challenges can be met. As hygiene solutions provider Berendsen wrote in the October edition, guidelines, such as ISO 14644, IEST RP CC018 and life science good manufacturing practices (GMPs), outline the strict specifications around cleaning tools and processes. The regulatory standards or current GMPs for pharmaceutical products are more stringent than many industries, as the products have a direct impact on public health. Even the selection of the right mop can have an impact. ISO 14644-13, which provides guidelines for cleaning cleanroom surfaces was published in 2017. In the September CT edition, Berendsen looked in detail at the considerations for choosing reusable mops and the accessories (frame, handle, trolley, etc.) for cleanrooms. In general, all cleaning systems, including mop heads, must not be a source of particles and microorganisms themselves. They should be sterile or sterilisable, easy to clean and resistant to the common cleaning and disinfecting agents. All components used in cleaning must meet the respective purity requirements and not adversely affect the production process and the products produced. They must also offer a high degree of effectiveness and process reliability. Berendsen looked at changes in the cleanroom mopping market, noting that it is no longer dominated by the use of disposable mops. 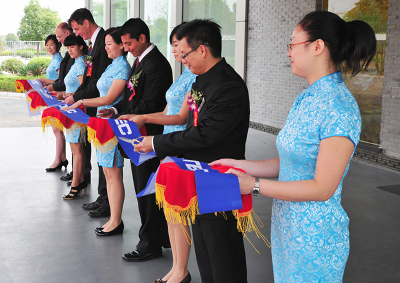 In recent years, due to innovation in microfibre textile materials, the company said it has become increasingly common to switch to reusable solutions by using a flat mop instead of the more common string mops. Among the innovations discussed was the double-sided flat mop, which Berendsen said is easy to use, ergonomic and more cost-effective compared to single-sided flat mops. 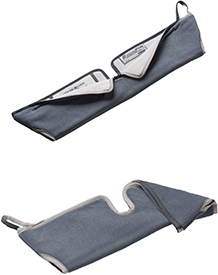 Also looking to mop developments, Micronova Manufacturing introduced a new flat head mop, in April. 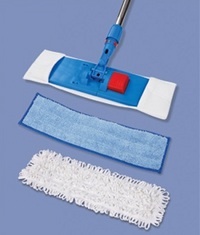 The flat head mop is made of the same materials as Micronova’s premium mops but has a simple design. The company says the mop can be used for controlled environments and is economical enough to compete with commercial mops that are often used in support or non-classified areas. Used with the QPSL-14 or QPSL-18 adapter, the mop is lightweight and easy to manoeuvre. Across all sectors cleaning operators are looking for more convenient and easy-to-use cleaning products. With innovations in technology, new products are starting to appear that offer solutions to combat HCAIs and/or assist in the efficient decontamination of cleanroom facilities. Frequently touched surfaces are most likely to be contaminated and as hand held devices and keyboards become ubiquitous, their disinfection poses further issues. In June, CT reported that Diversey had introduced the SKY 7Xi, a mobile device disinfection solution for healthcare environments. In one minute or less, SKY safely disinfects tablets and smartphones with high-intensity ultraviolet (UV) light that penetrates the cells of pathogens such as viruses, bacteria and spores. It achieves up to a 5–log reduction in harmful pathogens including MRSA, VRE, MDR-gram negative, Norovirus and C. difficile spores. Another innovative approach to disinfection covered in last year’s CT, was the self-disinfecting device, known as Surfaceskins, developed by a spin-out company from the University of Leeds, UK, the device is the culmination of seven years of research and development. Surfaceskins antibacterial door pads dispense a small quantity of alcohol gel onto the pad when it is pushed, to disinfect the surface ready for the next person to use the door. A specially engineered self-cleaning textile has been incorporated into the device designed to be used on hospital doors instead of traditional door plates. This device, which incorporates three separate nonwoven textiles, is designed to be replaced after seven days or one thousand pushes, whichever comes sooner.